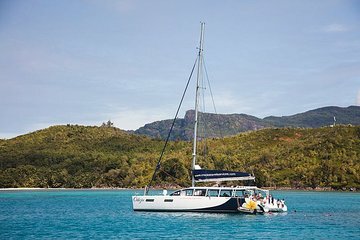 Step aboard a modern catamaran with your private group to explore the Seychelles. Cruise around Grand Police Bay, stopping to snorkel on the local reefs, teeming with tropical fish. Lounge on the decks of the spacious boat and enjoy a barbecue lunch served on board midday. Your captain and crew are dedicated to your private party and can tailor the itinerary to your interests.